Energy-efficient polycarbonate sheets with UV protection are at the forefront of innovation, helping to increase the efficiency of the building and construction envelope. Until recently, roofs were one of the least efficient parts of a building or public infrastructures. Now, energy-efficient polycarbonate roofs with UV protection are at the forefront of innovation, helping to increase the efficiency of the building and construction envelope. Majority of the sunlight will enter through the sloping surface. 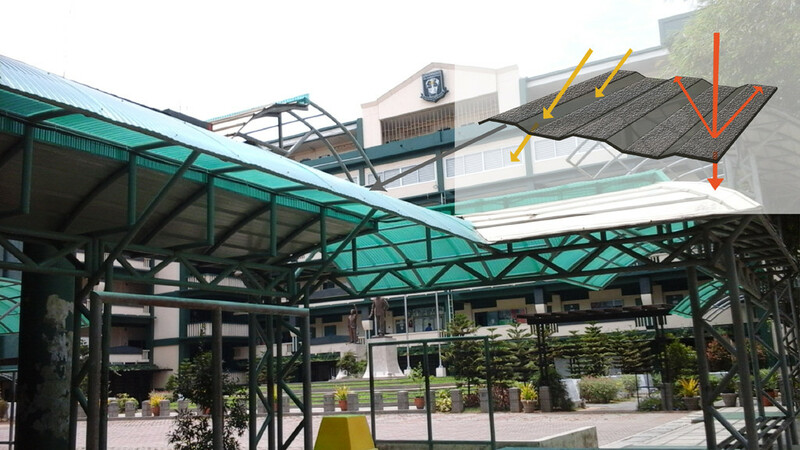 Since the slope is transparent, a high percentage of light can enter. But since sunlight is on a slopping manner, the impact of heat is reduced which helps in creating a more comfortable interior. The strongest or hottest heat by the sun happens during noontime when the sun will be directly above a roof. At this instance, sunlight will strike on the flat embossed surface, which deflects around 50% of light. With this, only around 50% of the sun’s heat is able to penetrate the interior.